The die is cast. Nigerians have entered into the first phase of the graduated excursion to the crucial 2019 election. With the embargo lifted, yesterday, November 18, 2018, today marks the kickoff of open campaigns for the presidential and National Assembly election scheduled for February 16, 2019. Going by the Independent National Electoral Commission’s (INEC) timetable, the gubernatorial and State Assembly candidates would join the campaign trail in two weeks time. Pending the final lid on the substitution window on January 17, 2019, more than 70 presidential candidates from the 98 existing political parties have been recognized by INEC to participate in the forthcoming poll. Effectively the front-runners in the presidential election, as far as Nigerians are concerned, are the All Progressives Congress (APC) that parades the incumbent, President Muhammadu Buhari, as its candidate and a former Vice President, Alhaji Atiku Abubakar, who is contesting on the platform of Peoples Democratic Party (PDP) as its standard bearer. Apart from those two, among the rest are funny sounding names and contenders some of whose names it would be hard to spell or remember. Yet they all would traverse Nigeria’s ballot mart in search of votes for the February 16 election next year. And coming two days after the famous lovers’ day, Valentine, most of the presidential contenders would from tomorrow be telling Nigerians sweet swellings words in sugar coated tongues what they have to offer if elected. 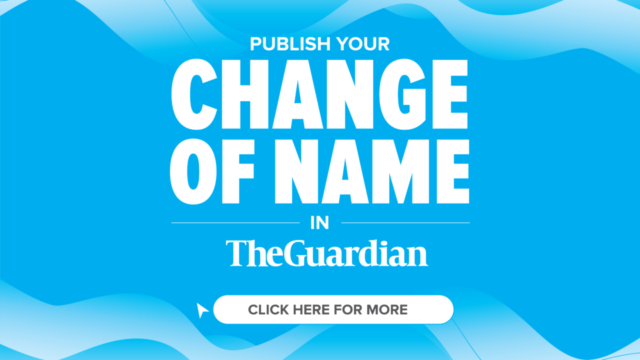 It is therefore in a bid to make easy the assessment of these presidential job seekers that The Guardian has categorized them into five broad groups, including the incumbent, the main challenger, the third horses, wilderness candidates and the super bikers. From the manifest, it is obvious that unless through an earthshaking miracle, the next president would not come from the folds of either the wilderness candidates or the super bikers. Interestingly, the nation’s constitution and Electoral Act stipulate that voting in an election is for the political and the candidate it put forward in the poll. HE is the sitting President. Prior to the 2015 poll, when he became the rallying point in the conspiracy by wheeling dealing political godfathers to defeat the then President Goodluck Jonathan, the preponderant perception was that of near-invincibility of incumbent President in Nigeria. 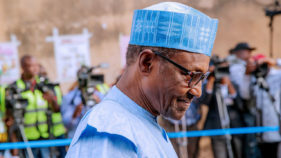 Nearly four years on the saddle as President, there are little doubts that the February 16, 2019 presidential poll would be a referendum on Buhari’s stewardship and record of achievements.Nigerians would recall that within the period, lingering Executive versus Legislature schisms slowed down the President, in addition to a life-threatening illness that took him outside the country on medial tourism for a substantial period that elicited constitutional concerns. The management of the economy, troubled by exchange rate volatility and undulating international price of oil; insecurity occasioned by unceasing herdsmen versus farmers’ clashes and unremitting massacres, unexplained killings; aloof leadership style as well as reports of widespread corruption within his party and around some of his close aides, accusation of nepotism and violation of the federal character principle in appointments are some of the varied issues the President would be confronted with during the electioneering for response and clarification. What assurances would the incumbent be offering to voters as he seeks a second four-year term in the exalted, but highly demanding office? Would he address rallies or do so through proxies as in 2015?. There has also been concerns in the polity that the President shows unwillingness to visit communities troubled by natural catastrophe, including flooding and other environmental disasters, but eager to attend political rallies. The campaign might also provide opportunity for the electorate to clear such clouds as to whether the President is powered by steroids or is a body double as insinuated by the leader of the proscribed Indigenous Peoples of Biafra (IPOB), Mazi Nnamdi Kanu. Allusions would also be made to the APC primaries, which have been at the root of ruckus in some states of the federation, especially those controlled by the ruling party. That would be a clever way to examine the President’s commitment to credible election, against the background of insinuations that his close aides are banking on rigging and other underhand methods to hand him unmerited victory at the poll. RIGHT from the time he went into the PDP presidential primary, the fourth republic Vice President Abubakar, was seen as the main contender for the 2019 presidential contest. To Atiku and his party, PDP, which is angling to regain its leadership position in national politics, (revenge its loss to APC in 2015), 2019 is like ‘now or never.’ As the main contender and major challenger to the incumbent for the exalted office, Atiku and PDP would take advantage of the electioneering to discuss his ideas for changing the leadership trajectory in the country, particularly the anxiety and tensions experienced by Nigerians in the last three and a half years. But more importantly, the campaigns would bring them face to face with Nigerians some of who are wondering the man made fabulous wealth in a country brimming with poverty and designated as the poverty capital of the world. Perhaps sensing that the incumbent would resort to name calling and attempt to renew the labeling of opposition as corrupt, Atiku has been suing for issue-based campaigns, just as he promised to release his policy document to serve as unique talking points to assess his suitability for the top job. Showunmi explained that tapping from the opportunities available in private sector and business in Nigeria, Atiku was privileged to have become one of the respected entrepreneurs, who have created more opportunities in almost every industry. “From education to agriculture; manufacturing to media; logistics to consultancy, among others, Atiku Abubakar has made giant strides and left a positive impact, having had the opportunity to be the heartbeat of the Presidency as Vice President,” he added. As the campaign lasts, the major contender would face darts and doubts, including demands on the feasibility of his signature promise to restructure the country. Perhaps in anticipation of such reservations Showunmi in his statement stressed that Atiku recognizes it as his responsibility to let every Nigerian know that we have a brilliant chance to build a brighter future for ourselves, if given the basic opportunities of a functional Nigeria. “I know Atiku Abubakar has been thinking about this for a longer period; and perhaps it will take his rivals a bit more time to see the global advantage in reducing the narrative tensions and divisive politics, which Africa has gotten its self locked into,” he added. No doubt, how to get the electorate to invest their critical faculties so as to be able to discern between fables and feasible road map for national reconstruction and development would form part of the challenges of the opposition in the face of a marble breasted incumbent that appears ready to throw caution to the wind in the electoral battle. AT the build up to the 2019 poll, especially at the beginning of the pre-election year 2018, much ado was made about the failings of the two big political platforms, the ruling APC and major opposition PDP. Sold as the third force, the idea of getting fresh faces or younger elements to redeem the tragedy, which the country’s leadership has exposed, proponents of a move away from the two older parties encouraged younger people to take interest in leadership. However, the promoters of third force could not reconcile their belated campaign and the need to provide a credible alternative to the incumbent, which performance record they adjudged abysmally poor. However, the third force ran into serious troubles when it came to choosing a platform or selecting a consensus presidential candidate. 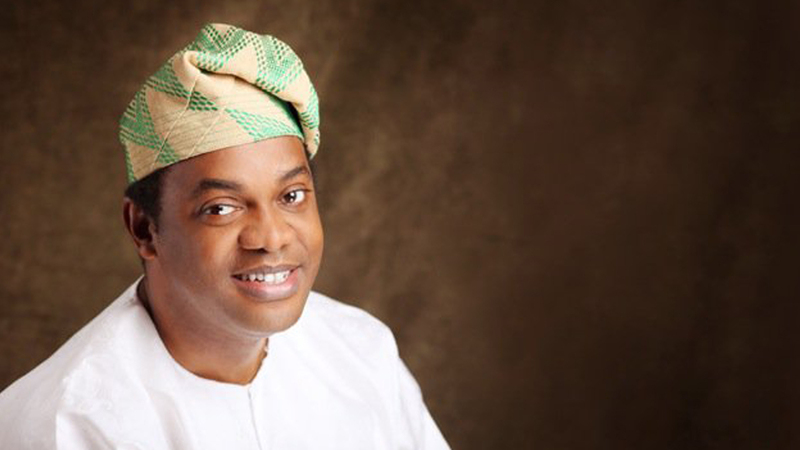 Not minding the huddles against the possibility of a third horse coming on the scene to overtake the other two giant candidates in the race, former Cross River State governor, Donald Duke, caused a stir when he grabbed the presidential ticket of Social Democratic Party (SDP). That was also shortly after he defected from the PDP. Duke would be pelted with questions about his political odyssey and the zoning arrangement in the country, in addition to his romance with former President Olusegun Obasanjo’s Coalition for Nigeria Coalition Movement (CNM). Next to Duke in the race to become the third horse is Gbenga Olawepo-Hashim, who was nominated as the presidential candidate of Peoples Trust (PT), the product of political understanding between Nigeria Intervention Movement (NIM) and some other political platforms. But the trouble in the third force camp was accentuated by the failure of some younger elements to agree on a consensus presidential candidate through PACT (Presidential Aspirants Coming Together).While former Central Bank of Nigeria (CBN) Deputy governor, Prof. Kingsley Moghalu, backed out of the arrangement, Omoyele Sowore, who lost to Fela Durotoye of Alliance for New Nigeria (ANN), renounced the outcome of the two-pronged voting process. It was out of frustration for the discord among some of the PACT subscribers that former Managing Director of World Bank, Dr. Obiageli Ezekwesili, decided to throw her hats in the ring, choosing to discard her red card movement for a presidential contest. Ever since she joined the race, Madam Due Process, as she is usually referred to for her work at the Debt Management Office, Ezekwesili has been making headlines, particularly with her campaign promise of lifting 80 million Nigerians out of abject poverty if elected President on February 16, 2019. While announcing the official kick-off of her campaigns with the release of gorgeous photos, the Hope 2019 organisation said: “Here comes the best MAN for the job, the woMAN.”With most observers saying that Nigeria is the age of the woman, Ezekwesili’s presidential ambition has been gathering momentum and enjoying the solidarity of the feminine gender that wants to make a strong statement with 2019 poll. Can a woman be president of a heterogeneous Nigeria, majority of which population are divided between Christians and Muslims? Were her activism and campaign for social inclusion and transparency motivated by her political ambition? These are some of the questions she would be encountering in the process of electioneering. Already there are reports that Durotoye has agreed to step down and support Ezekwesili to brighten her chances of causing an upset in the presidential poll. Within this fold are presidential contenders that are running on the strength of their ideas and have decided to raise their voice against the nature of leadership selection process in the country. Reverend Chris Okotie, the musician-turned preacher and politician, as well as Prof. Moghalu are eminent subset of the wilderness club. Theirs could be described as voices in the wilderness calling for a new order in the country. Although Moghalu attracted much interest to his ambition and the ideas he espoused in the earlier part of the year, he seems to have lost steam despite the creation of many sub groups to further his electoral chances, including “To Build A Nation” (TBAN) movement, the Kingsley Moghalu Support Organisation (KIMSO), the Kingsley Moghalu Volunteer Force, Youth for Kingsley (Y4K), Women for Kingsley (W4K), Kingsley Moghalu Disciples. He is running on the platform of Young Progressive Party (YPP). But as to whether he would breast the tape or fuse into an existing strong platform would be seen as the campaigns progress. Okotie had on the occasion of his 60th birth day anniversary called on APC and PDP to adopt him as consensus presidential candidate, stressing that only a leader of his calling and caliber could heal the wounds of division and hatred in the country.His political platform, Fresh Democratic Party (FDP) is limited in reach and structure to his church members and other enthusiasts. UNLESS he consents to drop his ambition to support Ezekwesili, the publisher of the online news platform, Sahara Reports, Omoyele Sowore, is leading the pack of the bikers. 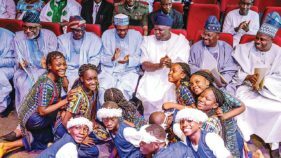 The camp is peopled by presidential candidates who are propelled by their youthful zeal and the claim that today is the tomorrow the youths have always been told are the leaders. Others are presidential candidates of the other political parties whose consequence are limited by funding and deficient political platform. But for his decision to retrace his steps and gun for the senatorial seat, immediate past Ondo State governor, Olusegun Mimiko, of the Zenith Labour Party (ZLP) was among the lone-rangers. It is among this group that quitters would be found in the days to come, especially as it dawns on them that any vote outside the first three categories amounts to either a wasted one or weak support for the incumbent. THE recent search conducted on Atiku seems a sign of many things Nigerians might witness as electioneering begins tomorrow. On the surface, it is clear that the frisking of the former number two man in the country was predicated on the fact that he is the standard bearer of the main opposition PDP. That fact therefore gives the impression that the ruling APC could be jittery and therefore desperate to eliminate serious opposition in the forthcoming presidential election. Many commentators have noted how political intolerance provides the setting for the destabilization of democracy. But the idea of subjecting a former number two citizen of the country to undignifying frisk at the airport has already raised a lot of disturbing pointers to how the campaigns for the 2019 election could pan out. Having identified the action as revealing the seeming desperation of the Presidency, it becomes necessary to interrogate the process of deploying Nigeria’s security apparatus at the point of entry into the country. It should be noted that adopting the collective word ‘Presidency’ has become necessary following public perception that few powerful individuals in the nation’s seat of power, instead of President Muhammadu Buhari, are in charge as the final authority for command and control. It is therefore possible that these few unelected persons could on their own, threaten Nigeria’s democracy at the slightest sign of possible dislocation. Based on that realization therefore, the attack on Atiku also shows that the ruling All Progressives Congress (APC) are afraid of losing next year’s election and appear ready to scuttle any outcome that does not favour their desperation to remain in power. Minister of State for Aviation, Alhaji Hadi Sirika, decided to rationalize the deployment of special investigation team that searched the former Vice President. But by taking responsibility for the unbecoming action rather than put the matter to rest, he has actually underscored the fact of existence of multiple sources of authority in the Presidency. This development therefore raises fresh fears about the credibility of the forthcoming general election, especially against the background of Presidency’s reluctance to sign the Electoral bill into law. Not that alone, the airport incidence comes out as a sad metaphor about the likelihood of orchaestrated violence perfected through the instrumentality of the coercive powers of the state. 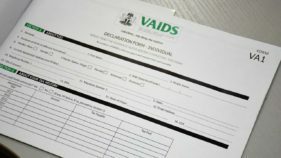 Checks reveal that Nigeria Customs and Immigration Departments are the two main bodies officially charged with the responsibility of securing Nigeria’s borders to ensure that illegal aliens or unwholesome products do not get into the country. Atiku’s private jet is well known to Nigerian authorities; consequently putting together a special team to search the aircraft comes off as an attempt to profile the former vice president as either a drug courier or currency trafficker. Having failed to extricate any incriminating item on the person of Atiku or the aircraft, Sirika and his team succeeded in attracting the charge of ineptitude, as their action attests to lack of reasonable suspicion or intelligence. Again, the blind guess leaves room for the general conclusion that the search on the PDP presidential candidate was predicated on political witch hunt and intended to humiliate and intimidate him. Furthermore, coming barely a week after an invasion of the residence of Deputy President of Senate, Ike Ekweremadu, which the police said was not an assassination attempt but burglary, it becomes scary to think that similar show of executive highhandedness could define the impending electioneering season. The airport incidence brings to mind the unexplained transfers of police chiefs and state Directors of Department of State Service (DSS), thereby raising fears that state institutions could be deployed to serve the political interests of the ruling party. 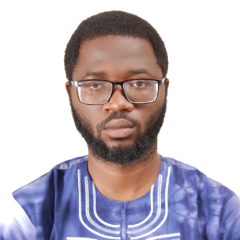 Against the background of the foregoing therefore, it becomes apparent that what transpired during the recent Ekiti and Osun gubernatorial elections was more of a test run on the tactics of using the coercive institutions of the Federal Government to tilt poll outcome to a predetermined angle. The airport assault on Atiku has also become a reminder of past instances of intentions to interfere with 2019 election. Speaking when he signed the not-too-young-run bill into law, President Buhari said jokingly that young people should wait till after 2019 before activating the intendments of the law.Given the precarious situation of the country’s political economy, the President may be right in his observation, but the fact that he wants to remain in office without serious challenge beyond May 29, 2019 is not lost on most Nigerians. On many occasions the President had recalled how surprised he was by former President Goodluck Jonathan’s gesture of conceding defeat even before counting of ballots was concluded in 2015. Buhari noted that given the enormous powers available to him as Nigeria’s president, Jonathan could have made things a lot harder for the nation. In the light of that observation from the incumbent, and given his predilection for aloof leadership, it becomes a frightening possibility that some of Buhari’s aides like Sirika could take advantage of his lack of control to appropriate undue powers and scupper the process.The President also confessed some time ago that he was not aware that the Inspector General of Police, Ibrahim Kpotun Idris, failed to comply with his (Buhari’s) directive to relocate to Benue State, the theatre of mindless massacre by suspected killer herdsmen. When the former Secretary to the Government of the Federation (SGF), David Babachir Lawal, was accused of diverting contracts and funds meant for Internally Displaced Persons (IDP) in the northeast, the President also came out in blind defence of his appointee. More than every other threat to the forthcoming election is also the willingness of security personnel to comply with overtly unofficial directives and arrangements that are at cross purposes with the laid down procedures.It could be recalled that when a detachment of police officers barricaded the residences of the Senate President and his deputy, the IGP denied ever dispatching his men officially to carry out those illegal duties. Similar scenario played out also when some officers said to be working at the best of a false whistle blower, invaded the residence of a leader of the Pan Niger Delta Forum PANDEF), Chief Edwin Clarke, in search of stockpiles of arms and ammunition. In the light of the attack on the former vice president, it becomes plausible to believe the fears in certain quarters that the ruling party has concluded arrangements to take violent and forceful measures to bend the electoral process to its advantage, despite assurances by the President to the international community of his commitment to credible, free and fair election. The invasion of Clark’s home in addition to the militarization of the entire Southeast and South/South geopolitical zones of the country leave a clue to the possibility that the authorities could be working to clean those areas of weapons to reduce potential for deterrence.In the recent by-election in Osun State, report of violent suppression of voters at the presumed strongholds of the opposition candidate was rife. Two days ago, a police helicopter was photographed while allegedly dropping off huge sacks believed to be stacked with cash, ostensibly to be deployed for see-and-buy in the Kwara State by-election. ONE big issue that has come up as a possible determinant of next year’s presidential poll is restructuring. While the PDP presidential standard bearer has made the issue his unique selling proposal, the ruling party has been undulating in its arguments about the necessity of reviewing the country’s political economy. Many Nigerians, particularly from the Middle Belt and Southern geopolitical zones have displayed enthusiastic support for the policy plan. The ruling party has in its disdain towards restructuring cast itself in the reactionary mode, which predisposes it to the use of bullying tactics. It is against the background of this clear dividing line that the airport assault on the PDP candidate could be seen as a metaphor for the violations to come as campaigns open for the coming polls. The ruling APC has indicated that President Buhari would not be available for any form of debates preceding the election, insisting that Vice President Yemi Osinbajo would represent the President on such occasions. While the decision to excuse the President from debates gives the impression of the party’s belief in its presidential candidates poor grasp of issues and low cognition, the Chinese has a saying that the person whose words fail to convince usually resort to physical affronts. It is in this fear of possible recourse to violent expression of superiority that the recent attack on former Vice President Atiku Abubakar should be taken as a potent warning signal to the challenge Nigeria faces with the forthcoming general election.Coming exactly four years after the centenary of Nigeria’s amalgamation, the 2019 election offers the citizens great opportunity to redefine the country. The election therefore represents the only democratic pathway to navigate the country through crucial challenging options to the country’s corporate existence, including restructuring, agitation for referendum and ratification of the expired amalgamation. The frisking of former Vice President Atiku Abubakar should therefore serve as a wakeup call for all Nigerians, especially the ruling party that unless the 2019 poll turns out to be credible, free and fair as President Buhari has been assuring friends of the country, the last two options –calls for referendum and ratification-might become inevitable. All hands should therefore be on deck to make the 2019 a success. That means a further patriotic call on members of the nation’s security agencies, INEC inclusive, to toe the path of professionalism and highest sense of ethical observation to avoid similar show of shame witnessed at the Nnamdi Azikiwe International Airport, Abuja, when Atiku returned from his overseas trip.